Call for Papers: International Society for Eighteenth-Century Studies conference, Edinburgh, July 2019. Catherine M. Jaffe is Professor of Spanish at Texas State University, where she also teaches in the Honors College Interdisciplinary Humanities Program. She is on the MLA Forum 18th-19thC Spanish and Iberian LLC Executive Committee (2017-2022) and serves on the editorial boards of Dieciocho: Hispanic Enlightenment and Oxford University Studies in the Enlightnement. Catherine Jaffe’s research interests in modern Spanish and comparative literature focus on women writers and theories of gender and reading in eighteenth- and nineteenth-century Spain. Her publications include studies of quixotism, gender and translation, and feminism in the Hispanic Enlightenment. Catherine Jaffe co-authored, with Elisa Martín-Valdepeñas, María Lorenza de los Ríos y Loyo, marquesa de Fuerte-Híjar: vida y obra de una escritora del siglo de las Luces (Iberoamericana Vervuert, 2019). Jaffe co-edited Eve’s Enlightenment: Women’s Experience in Spain and Spanish America, 1726-1839 (Baton Rouge: Louisiana State University Press, 2009), with Elizabeth Franklin Lewis. Recent journal articles include “Female Quixotism in the Transatlantic Enlightenment: Fernández de Lizardi’s La Quijotita y su prima,” forthcoming in Dieciocho 40.1 (Spring 2017); “Honor, Gender, and Translation in the Spanish Enlightenment: Mariano Madramany y Calatayud’s El engaño feliz (1795),” Studies in Eighteenth-Century Culture 45 (2016); and with co-author Elisa Martín Valdepeñas-Yagüe, “Gender, Translation, and Eighteenth-Century Women Dramatists: Elizabeth Griffith’s The School for Rakes (1769) and María Lorenza de los Ríos y Loyo’s El Eugenio (1801),” The Eighteenth Century: Theory and Interpretation 56.1 (2015). Catherine Jaffe is currently co-editing, with Elizabeth Lewis and Mónica Bolufer, the Routledge Companion to the Hispanic Enlightenment. With Spanish historian Elisa Martín-Valdepeñas she is co-editing a collection of essays on the Junta de Damas. She participates in the research group “El humor y su sentido: discursos e imágenes de lo risible desde la Ilustración hasta hoy” (Universidad de Málaga, funded by Spain’s Ministerio de Economía, Industria, y Competitividad, Q2918001E). 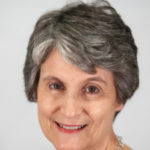 Catherine Jaffe is active in professional organizations such as the American Society for Eighteenth-Century Studies, the International Society for Eighteenth-Century Studies, the Asociación Internacional de Hispanistas, the Asociación Internacional de Galdosistas, and the Sociedad Española de Estudios del Siglo XVIII.